Overview: Because of their utilitarian nature, mass transit rail systems are generally predictable in design and aesthetic. Aluminum poles, a composite floor, off-white wall paneling, multi-colored seats… you get the idea. This concept by A.B. Vignesh is NOT one of those rail systems. 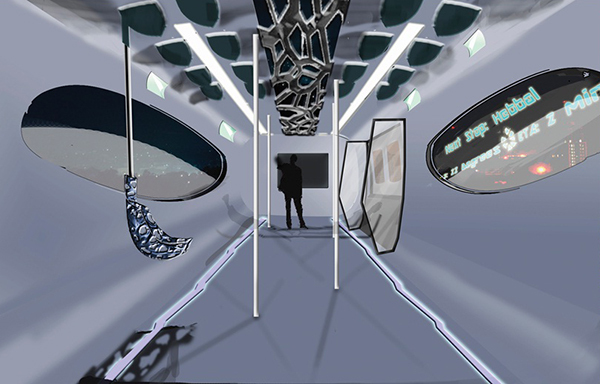 Designed to enhance the mood and social behavior of its passengers, this monorail’s lively interior is unpredictable and different from one car to the next. It’s more akin to a night club than a train, making the daily commute just a little more bearable if not fun! Monorail designed for Bangaluru City, India.